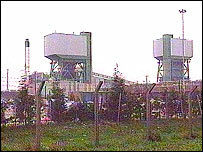 Pit workers have ended a four-month dispute over new working practices at a West Yorkshire mine. Members of the National Union of Mineworkers voted on Wednesday night to end a series of 24-hour strikes at Kellingley Colliery, near Pontefract. The walkouts were in protest at plans by pit owner UK Coal for longer shifts in order to boost output and absorb 180 jobs from the doomed Selby coalfield. UK Coal said the decision to call off the strikes was "excellent news". The stand-off between workers and management came to an end after the Selby workers agreed to accept regular night shifts as part of their contracts when they transfer to Kellingley next month. Kellingley's current 500-strong workforce will retain its five-day working week. Chris Kitchen, NUM branch secretary for Kellingley, said his members had called off their action on the advice of lawyers who said UK Coal had done enough to convince a judge there was no longer a threat to change working conditions for existing employees. But he added: "We are not happy that some of the lads from Selby have had to accept regular night shifts just to stay in the industry. "There is a chance of friction because of the different terms and conditions of the two workforces. "There is the fear it could all kick off again but for now we are concentrating on getting the pit profitable and ensuring there is a job for everyone." UK Coal said: "The coal industry faces some tough challenges and we need to maintain a united front if we are to overcome them."